Caption slip reads: "Photographer: Olmo. Date: 1958-07-14. Assignment: Hold-up victim. 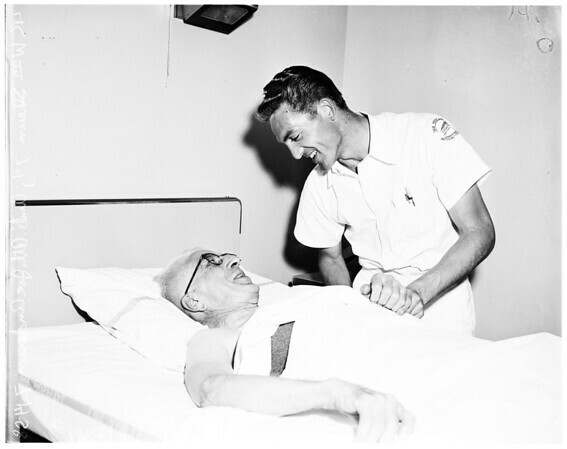 21-22: William Shrum, 74, victim of shooting and Joe Anderson, ambulance attendent [sic]".